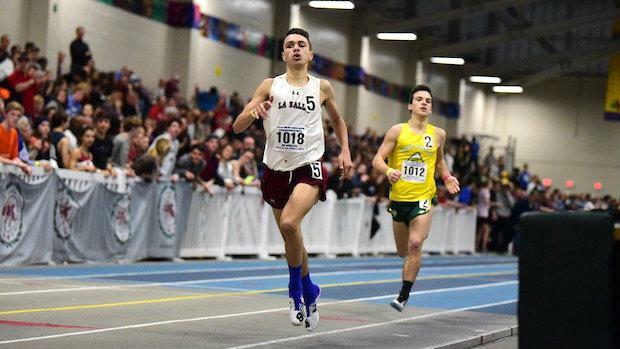 La Salle Academy senior Joseph DosReis won a competitive boys mile race at the New England Championships in a new personal best time of 4:14.27. 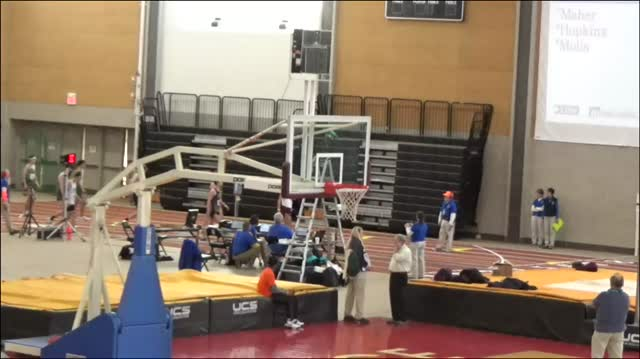 DosReis had to contend with state champions from Massachusetts, Connecticut, and New Hampshire, but ultimately had the stronger kick to pull away for the win. DosReis was coming off a strong state meet showing winning the 1500 and taking runner-up in the 1K. 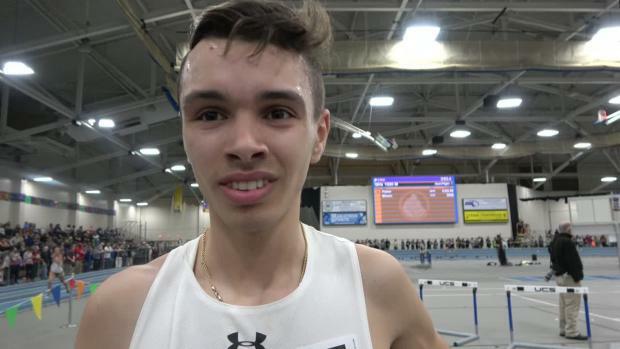 DosReis had run his prior PR of 4:14.62 at the Reggie Lewis Center in Boston less than a month ago at the New Balance Grand Prix. 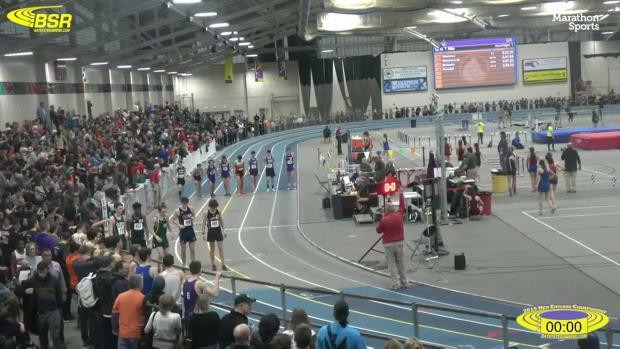 DosReis found himself in good position thru the first half of the race running just off New Hampshire state champ Jacob Winslow of Exeter who led the field thru the first half mile in 2:07. 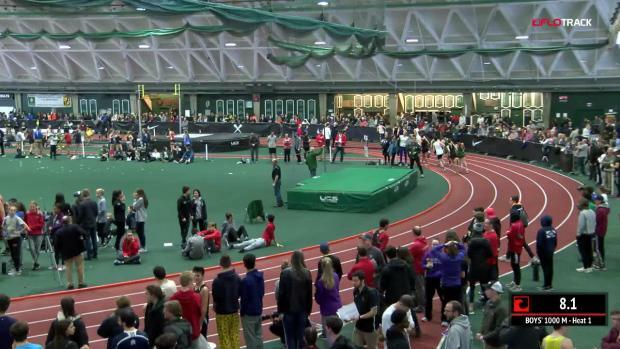 DosReis took over the lead with 500 meters to go, while Massachusetts state champ Mike Griffin then sat on him for the remainder of the race trying to pass. 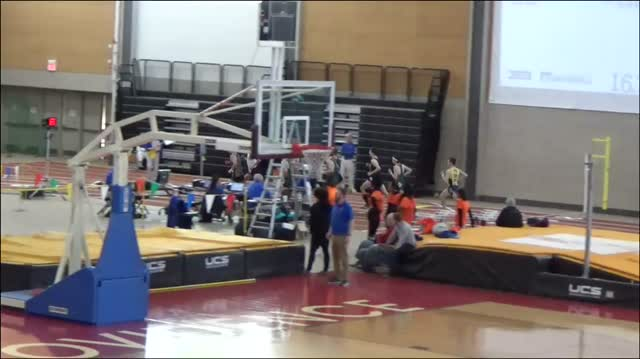 Both runners known for great kicks, but DosReis was too strong to allow for any late change late to win his first New England Championship individual title. 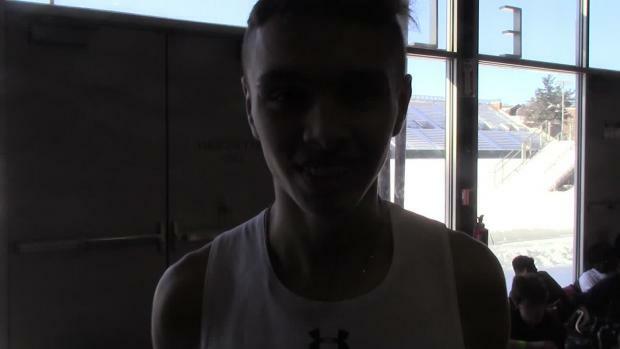 He will be racing next at New Balance Nationals in the mile as well as the sprint medley relay with his La Salle Academy squad.